On September 23rd, Washington Post food columnist Tamar Haspeladmitted to receiving “plenty” of money from pro-agrichemical industry sources. These reporters appear in the context of Jon Entine, who is perhaps the leading PR operative working to promote the views of the agrichemical industry, and its pesticides and GMOs. Entine is founder andexecutive director of the Genetic Literacy Project, which, along with the PR firm Ketchum’s GMO Answers, are the agrichemical industry’s two most visible front groups. Entine is also founder and president of the PR firm ESG MediaMetrics, whoseclients have included the agrichemical giant Monsanto. The Alliance for Science is a campaign of Cornell University that claims to want to "depolarise the charged debate" around GMOs. Supported by a $5.6 million grant from the Bill & Melinda Gates Foundation and with the GMO industry as its partners, the real aim of the campaign appears to be to promote GMOs and silence critical voices. This became crystal clear on 10 September, when the Alliance hosted a panel discussion titled, "Ask Me Anything About GMOs", at the Unitarian Church in Ithaca, New York. Ithaca is also home to Cornell. The Bioscience Resource Project has posted a video recording of the event, which appears to have been most memorable for being extraordinarily boring, thanks to all critical voices having been excluded from the panel. The Bioscience Resource Project has also chronicled some of the background to the Ithaca event. Two highlights particularly stand out. At 29 minutes into the video, the pro-GMO scientist Kevin Folta, who was recently exposed as having received a $25,000 grant from Monsanto despite repeated claims of never having had a dime from the company, says, "I am one of the most fiercely independent people you will ever meet". Interestingly, emails between Folta and Monsanto, released by the New York Times, discuss setting up “Ask Me Anything" events at US universities with Folta on their panel, i.e. they set out the PR formula followed in Ithaca. Then at 38 minutes, the director of the Bioscience Resource Project, DrJonathan Latham, questions the claims being made by the panel on pesticide use due to GMO crop adoption. Just as Dr Latham is getting into his stride, supporters of the Alliance for Science start banging a gong to drown him out! Perhaps the event should have been titled, "Ask Me Anything About GMOs, As Long As It Doesn't Successfully Challenge Our Pro-GMO Claims". This bizarre episode helped prompt a letter to the editor of the Ithaca Times from Trevor Pinch, reproduced below. Prof Pinch is not only a musician and author of The Golem: What You Should Know About Science; he is also the Goldwin Smith Professor of Science & Technology Studies at Cornell. "Las empresas aseguran que es posible la "coexistencia" de maíz transgénico con el maíz campesino. Existen múltiples estudios científicos y estadísticas en muchos países que demuestran lo contrario: donde hay cultivos transgénicos, siempre habrá contaminación, sea por el polen llevado por viento e insectos (a distancias mucho mayores de las "previstas" por las leyes) o por el trasiego en transportes, almacenamiento, puntos de venta, donde no hay segregación de transgénicos y otras semillas." This week international recognized speakers within synthetic biology are gathered together with key scientists, regulators and NGOs at North-West University in South Africa. The event is a course that addresses biosafety and the contribution of synthetic biology in addressing societal challenges. The course was opened by the Ambassador of Norway to South Africa, Ms. Trine Skymoen, and Dean Prof. Kobus Plenaar from the Faculty of Natural Sciences at NWU. Funding for this important event comes from the Norwegian Ministry of Foreign Affairs. Synthetic biology is a new and emerging field within modern biotechnology that through engineering and de novo synthesis of genetic material aims to improve biological systems for human, agricultural and environmental purposes. The technological advance of SynBio enables easier, faster and potentially more targeted GMO design with the prospective for crop improvements and more efficient biofuel production. The main objective of this course is to provide high-level policy makers, regulators, scientists, industry representatives and NGOs/civil society from SADEC countries with knowledge and training in crucial gene technology biosafety issues, innovation possibilities and sustainable use of genetic resources with particular attention given to synthetic biology. In order to support governments and authorities and enable them to build up their own system of regulations and management, the course also includes presentations and discussions on how SynBio processes and products are covered by the international protocols under The Convention on Biological Diversity (i.e. Cartagena Protocol, Nagoya Protocol). The course is organized by North-West University, GenØk-Centre for Biosafety and NIBIO (Norway) and is attended by 40 participants from 13 countries in the SADEC region. In addition, speakers from South Africa, Malaysia, Brazil and Norway also attend and assist in the training. This successful event is a result of collaboration between NWU and GenØk since 2008. Through this collaboration, bursary support to more than 30 Honours and MSc students, as well as 3 PhD students has resulted in significant local capacity development in the field of biosafety research and risk assessment. Over the past 20 years, agricultural biotechnologies have generated chronically unresolved political controversies. Their governance has largely been restricted to regulation through a technical assessment of risks to human health and the environment. Resistance to the commercialisation of GMOs, however, stems from a wide spectrum of concerns, covering issues well beyond the scope of risk assessment such as socio-economic impacts. A new paper looks at this situation from a systems perspective. The authors cite how researchers have typically conceived and assessed genetically modified organisms (GMOs) as neutral, autonomous and individualised technological objects, ignoring the fact that they operate as socio-technical and socio-ecological systems. They argue that a systems-based approach to GMOs is required to (a) acknowledge and account for the way in which all technologies are inevitably entangled in complex networks of material and conceptual relations; and (b) to adequately capture, consider and assess the full range of concerns the public has regarding GMOs. The authors of the paper review available work from across different disciplines and traditions and propose a set of methodological guidelines for creating comparative cartographies of "agri/cultures" for the purpose of advancing a systems-based approach to our understanding and assessment of GMOs. Over the past twenty years, agricultural biotechnologies have generated chronically unresolved political controversies. The standard tool of risk assessment has proven to be highly limited in its ability to address the panoply of concerns that exist about these hybrid techno/organisms. It has also failed to account for both the conceptual and material networks of relations agricultural biotechnologies require, create and/or perform. This paper takes as a starting point that agricultural biotechnologies cannot be usefully assessed as isolated technological entities but need to be evaluated within the context of the broader socio-ecological system that they embody and engender. The paper then explores, compares and contrasts some of the methodological tools available for advancing this systems-based perspective. The article concludes by outlining a new synthesis approach of comparative cartographies of agri/cultures generated through multi-sited ethnographic case-studies, which is proposed as a way to generate system maps and enable the comparison of genetically modified (GM) food with both conventional and alternative agri-food networks for sustainability assessment. The paper aims to make a unique theoretical and methodological contribution by advancing a systems-based approach to conceptualising and assessing genetically modified organisms (GMOs) and proposing a synthesised methodology for mapping networks of relations across different agri/cultures. Death threats, libel and lies – Part 2: Documented liar? Science must be defended against commercial interests that attempt to get important papers on GMOs and pesticides retracted rather than encouraging further research to clarify any uncertainties, says an important new peer-reviewed paper published in Environmental Sciences Europe. The paper, authored by Drs John Fagan, Terje Traavik and Thomas Bøhn, details the events that followed the publication of the research study led by Prof Gilles-Eric Séralini on GM maize NK603 and Roundup. The Séralini study found toxic effects in rats, notably liver and kidney damage, from NK603 maize and Roundup, both individually and in combination. The paper was attacked by pro-GMO scientists, who argued that it should be retracted. Eventually the journal editor capitulated and retracted the paper, though it was subsequently republished in Environmental Sciences Europe. The authors of the new paper comment on this row, lamenting the growth of “a trend in which disputes, between interest groups vying for retraction and republication of papers that report controversial results, overshadow the normal scientific process in which peer-reviewed publication stimulates new research, generating new empirical evidence that drives the evolution of scientific understanding”. The paper also reviews the research on the safety of NK603 maize and Roundup herbicide for human and livestock health. The authors’ analysis confirms that NK603 maize and Roundup are kidney and liver toxicants at levels below current regulatory thresholds and that “consequently, the regulatory status of NK603, glyphosate and Roundup requires reevaluation”. The paper represents a comprehensive summary of the gaping holes in the pro-GMO lobby’s critiques of the Séralini study. Sadly, the European Food Safety Authority (EFSA) must consider itself part of this lobby. This is because EFSA followed the pro-GMO lobby in portraying the Séralini study as a failed carcinogenicity study, rather than what it really was – a chronic toxicity study that unexpectedly found increased tumour and mortality incidence in treated rats and which must therefore be followed up with a dedicated carcinogenicity study using larger numbers of animals. Thus EFSA effectively pretended not to notice the main findings of the Séralini study: that NK603 GM maize and Roundup caused an increase in liver and kidney damage. The new paper sets the record straight and gives the Séralini study its due status as evidence of these serious toxic effects. It also recommends reforms in the regulatory process that would help protect due scientific process from interference by commercial interests. The Seralini affair: degeneration of Science to Re‑Science? animals that assure robust conclusions, are required to confirm/refute this preliminary evidence. The inherent tension between the scientific process and commercial interests of product developers necessitates implementation of safeguards that protect the scientific process and prevent degeneration of Science to Re-Science (typified by retraction and republication disputes). Marion Nestle: Should scientists with financial ties to Monsanto be subject to FOIA requests? El geógrafo brasileño Carlos Walter Porto Gonçalves critica en un artículo reciente la participación de dos personalidades bastante conocidas en los medios de comunicación de Brasil en la publicidad de dos empresas agroindustriales de productos cárnicos. Recordemos que la industria ganadera constituye, a nivel mundial, el primer consumidor de alimentos transgénicos. Esto también es una realidad en Brasil. El actor de telenovelas Tony Ramos y la periodista Fátima Bernardes, son la imagen publicitaria de las marcas Friboi y Seara, ambas pertenecientes a JBS, una de las empresas agroalimenticias más grandes del Brasil, que abastece al mercado interno y exporta a más de 100 países. “Reading the emails make(s) me want to throw up” tweeted the Food Babe after reading a lengthy series of them posted online by the NY Times on Sept 5th. The emails in question result from a Freedom of Information Act (FOIA) request and are posted in the side bars of a front-page article by Times reporter Eric Lipton (“Food Industry Enlisted Academics in G.M.O. Lobbying War, Emails Show”). The article is highly disturbing, but, as the Food Babe implied, the Timesburied the real story. The real scoop was not the perfidy and deceit of a handful of individual professors. Buried in the emails is proof positive of active collusion between the agribusiness and chemical industries, numerous and often prominent academics, PR companies, and key administrators of land grant universities for the purpose of promoting GMOs and pesticides. The New York Times has published a fascinating article on the Kevin Folta scandal. Folta was revealed by Freedom of Information Requests to have accepted $25,000 from Monsanto, even though he had repeatedly denied having any Monsanto funding. A damning string of emails, released as a result of the Freedom of Information requests, have been posted online by the New York Times, with a commentary by the NYT editors. 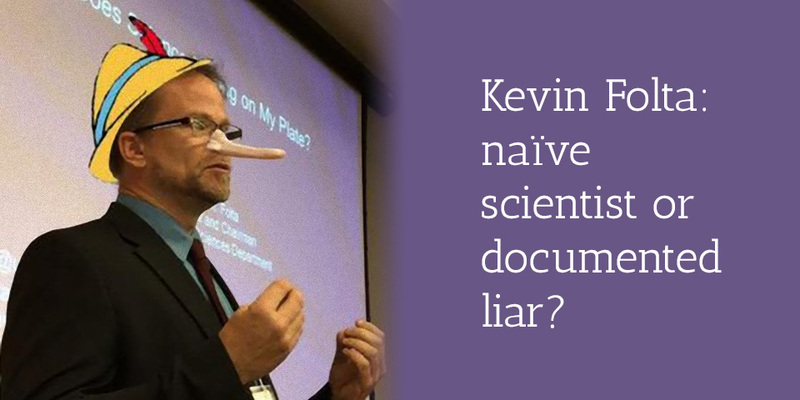 Many of the emails are between Kevin Folta and Monsanto or other industry and PR players. The emails show Folta as an eager partner in a cosy relationship with Monsanto from as early as the spring of 2013. In November 2013 Folta sent an email to employees of the PR firm Ketchum, which runs the pro-GMO website GMO Answers for its client the Council for Biotechnology. Regarding an upcoming meeting with the rest of the GMO Answers team, Folta wrote: ”Tell them I'm a friend of Ketchum”. Another Monsanto executive called the Folta deal “a great 3rd-party approach to developing the advocacy that we’re looking to develop [sic.]”. The 3rd party PR technique is when industry places its messages in the mouths of supposedly independent third parties, such as scientists and doctors, because the public are more likely to trust them. Folta has repeatedly claimed that he was open about his funding arrangements. For example, early this year he wrote, "The bottom line is that my university operates under the Sunshine Law. Emails are public information, just like my funding, my salary, my cholesterol levels, and everything else about me." But while the $25,000 Folta got from Monsanto was for outreach and not research, he was anything but open about it. On page 104 of the newly released emails, you can see Folta apparently trying to hide Monsanto’s $25,000 grant so that it is not “publicly noted”. The email string published by the NYT remedies Folta’s memory failure. The NYT’s editors note: “Dr. Folta was encouraged to make any changes he wanted, but he largely stuck with the script.” Two examples, in which Folta regurgitated Ketchum’s responses, are provided. Finally, it should be noted that while the NYT tries to draw an equivalence between Folta taking money from Monsanto and Dr Charles Benbrook being funded by the organic industry, the two are not comparable. Benbrook never denied being funded by, or having a relationship with, the organic industry. But Folta repeatedly denied his Monsanto links. The safety assessment of genetically modified organisms (GMOs) is a contentious topic. In the U.S., the debate centres around the methodology used to determine the criteria for substantial equivalence (whether GMOs are “equivalent” to their non-GMO counterparts). A new peer reviewed study (Item 1), based on a computational systems biology analysis, has found that the genetic modification/engineering of soy disrupts the plant’s natural ability to control stress and causes an accumulation of formaldehyde, a known Class 1 carcinogen, as well as a dramatic depletion of glutathione, an important anti-oxidant necessary for cellular detoxification. Systems biology looks at the complexity of the whole organism as a system rather than just studying its parts, which the authors contend would provide a framework for more appropriate criteria to measure how GMOs affect the emergent properties of a whole system. 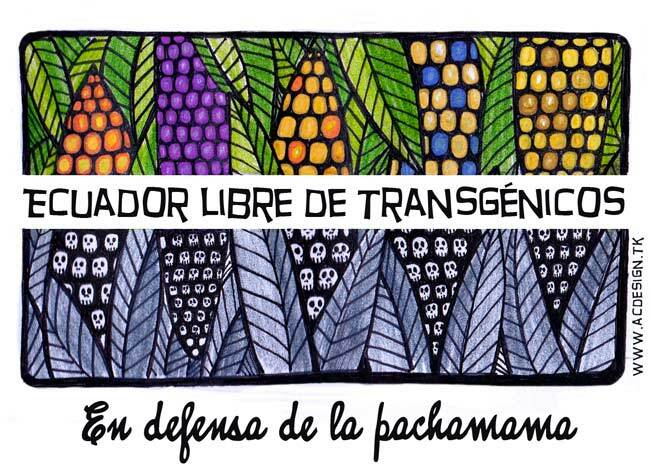 Y ¿tamales con alérgenos?, ¿atoles con residuos de glifosato?, ¿chilaquiles con plásmidos?, ¿pozoles con 2,4-D, componente del defoliante agente naranja utilizado en la guerra de Vietnam? 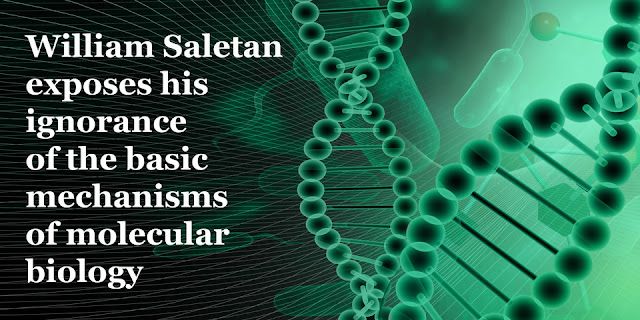 o ¿totopos con genes Terminator? by Philip J. Landrigan, M.D., and Charles Benbrook, Ph.D.
"La comprensión actual sobre el ARN de doble cadena en plantas modificadas genéticamente está en su infancia y todavía estamos tratando de entender cómo las moléculas de dsRNA pueden trabajar y, por tanto, cómo pueden afectar a los seres humanos, los animales y el medio ambiente. Aun así, ya se han aprobado algunas plantas transgénicas que utilizan esta tecnología, destinadas para el consumo humano. De estos cultivos, varios han sido retirados del mercado, mientras que otros están a punto de entrar en él."